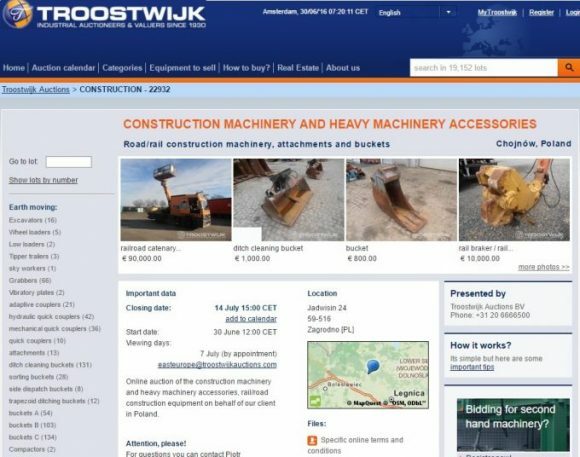 PHU Jan Wengrzyn invites you to take part in the online auction where you can purchase at an attractive price items which are put up for sale by our company. 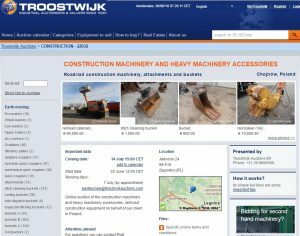 Among nearly 800 items up for auction are: construction equipment, railroad machinery and vehicles, trailers, special vehicles, railway tools and equipment and construction machinery attachments: buckets, grapples, quick couplers and many more. All interested are welcome to bid ! !